The Caretaker is one of the musical projects of James Leyland Kirby. Kirby is also known for his projects: V/Vm and The Stranger among several others. 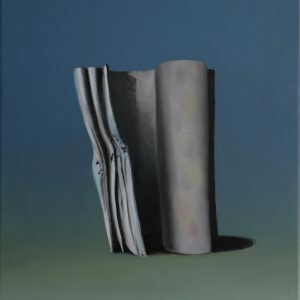 He started The Caretaker in 2011 as a look into the past, with a focus on the failings and degenerations of the human mind. The Caretaker project was named after the character from The Shining, Jack Torrence. Some of these sort of sounds could be heard in the 1980 film by Stanley Kubrick. Deciding to build a musical project around these premises, it wasn’t long before Kirby had a highly successful offering in the second proper album, An Empty Bliss Beyond This World. 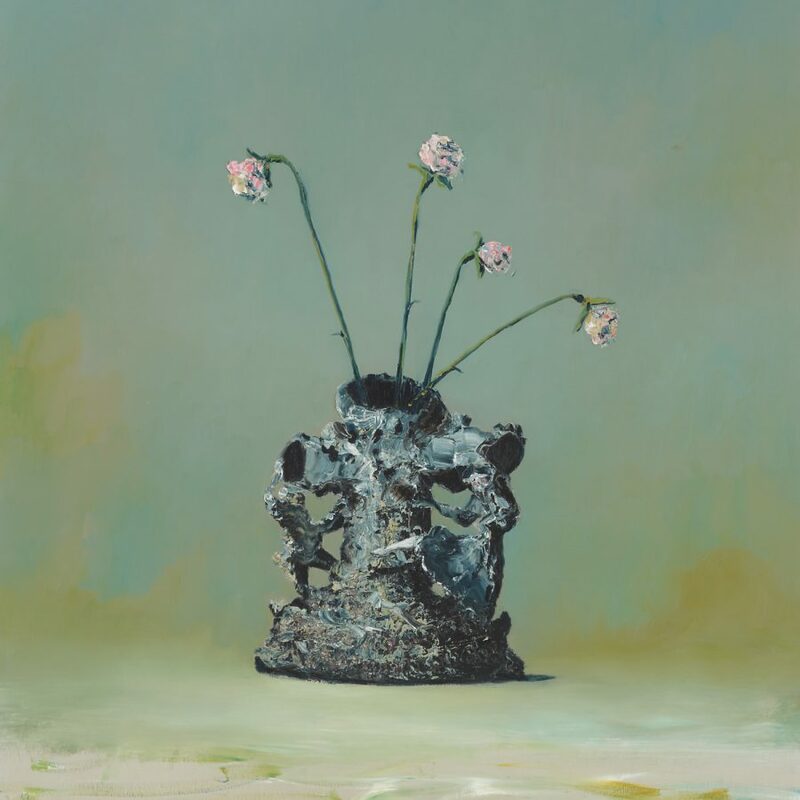 The Caretaker project is based around borrowing sound samples from a period of musical history which has been all but forgotten. He started the journey in old records stores, perusing collections of vinyl which were coated in dust from years of neglect. From these hidden gems, Kirby sampled and manipulated the music to fit into his narrative. Everywhere at the End of Time is being released in six segments, but the entirety of the series is a one-off purchase. 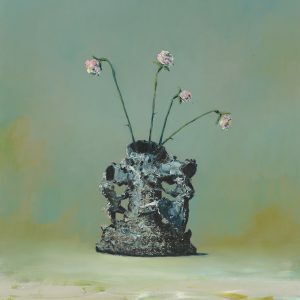 At a very low price, the final three year period of The Caretaker music project will be fully available to buyers. This gives Kirby the ability to spread his music to as many listeners as possible. This is a bold move, while many artists try to find ways to maximize profit, Kirby has vied to maximize exposure, caring more for the ears than the wallets of his fans. Of course, this direction is easier to choose for an artist with multiple music projects from which he may continue collecting an income. Each section of Everywhere at the End of Time will focus on a different aspect of the degenerative stages of dementia. Stage I, released in 2016, focuses on the early signs of memory loss. It is bright and generally has a positive vibe. It is sort of a throwback to the heyday of the “patient”. It is a window into the fond memories and high points in life. Each track is rather upbeat, with only a few taking on a slower pace. Even with the more laid-back tracks, their is always an uplifting energy present. Stage II takes a turn to darker thoughts. It focuses on the saddened acceptance of the disease. The Caretaker begins to realize the full ramifications of his position. As his memories begin to fade and become foggy, so too does his mood become more negative. There is a heavy sadness weighing down the entirety of Stage II, an extremely noticeable shift from Stage I. Track titles like “A Losing Battle Is Raging” and “What Does It Matter How My Heart Breaks” give the listener further cues to understanding the emotional elements presented, with the latter being an alternate version of “It’s Just A Burning Memory”, the first track from Part I. For the most part, Stage II brings all new (in the sense that it hasn’t previously been used by The Caretaker) material into the project. From a technical standpoint, the music is much less direct, it seems to meander between varied levels of energy and emotion. Some of the tracks feel like they have a light use of field recordings complementing the sampled music loops. This second stage brings the track count up to 22, each of which are beautifully presented. Each stage of the process is being released on vinyl, a fitting format to present this wonderfully staticy and purposefully flawed material to the public. The last four stages are set to be released between September 2017 through March 2019, at which point The Caretaker project will be officially laid to rest. Such a massive undertaking seems fitting for the close of a project which has managed to receive such positive feedback from fans and critics alike. There is no doubt that James Leyland Kirby will continue making music through one project or another. Yet, knowing that the end of The Caretaker is near gives fans a termination date that they can look toward with an air of sadness. It is a clever maneuver on the part of Kirby. As we know that the project will soon “die”. We can be part of the process, watching, waiting, and fearing the inevitable death of The Caretaker.